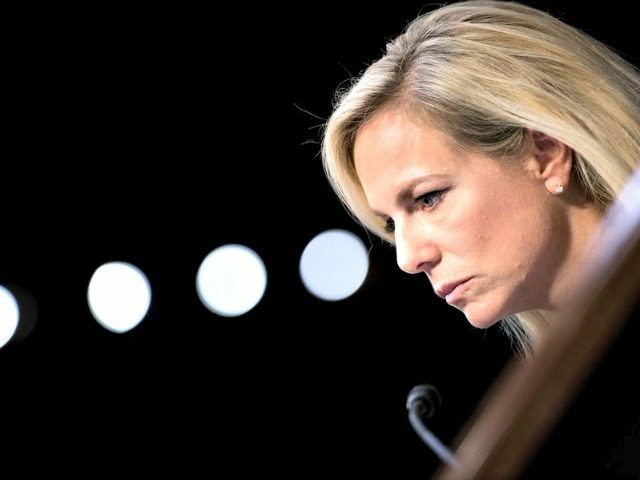 According to the New York Times, Nielsen almost left the Trump administration following a series of complaints from Trump in front of the entire White House cabinet that she had not successfully secured the southern border. Ms. Nielsen, who is a protégée of John F. Kelly, the White House chief of staff, has drafted a resignation letter but has not submitted it, according to two of the people. As the head of the Department of Homeland Security, Ms. Nielsen is in charge of the 20,000 border agents who work for Immigration and Customs Enforcement. DHS press secretary Tyler Houlton said in an online post that the claims that Nielsen was on the verge of quitting are untrue. The @nytimes article alleging that the Secretary drafted a resignation letter yesterday and was close to resigning is false. The Secretary is hard at work today on the President's security-focused agenda and supporting the men and women of @DHSgov. Nielsen’s DHS has been swamped with rising illegal immigration levels at the southern border. In the month of April, nearly 40,000 illegal aliens were caught attempting to cross into the U.S.
At the same time, DHS failed to keep a caravan of Central Americans at bay, with hundreds storming the border and seeking asylum through the ports of entry. Most recently, in congressional testimony, Nielsen begged foreign nationals to use the ports of entry to enter the U.S. legally and seek asylum, despite DHS already being overwhelmed with border-crossers and asylum-seekers. Nielsen formerly worked for President George W. Bush when thousands of illegal aliens were allowed to enter the U.S. after Hurricane Katrina to take coveted blue-collar jobs. Nielsen also previously authored a report promoting mass immigration as a win for big business.